For the majority of couples, the web is now an integral part of wedding planning, and according to the Wedding Report, 77 percent of engaged couples use the Internet to plan. From researching vendors, to tracking to-do’s and even organizing seating charts, the web allows brides and grooms to save both time and money while planning their big day. 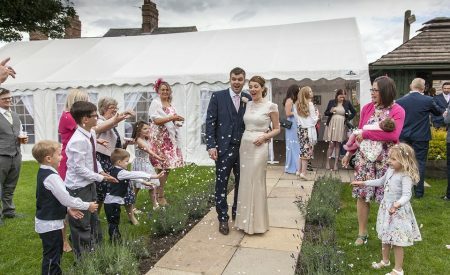 Technology start-up Glö is building on this trend with its unique online invitation and RSVP system. 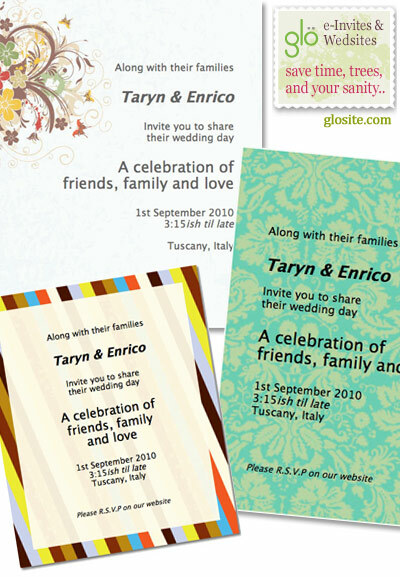 Glö launched in April 2010, offering paperless wedding invitations and wedding websites with smart RSVPs. Poised to take wedding communications in a modern direction, Glö provides a solution for couples seeking the sophistication of paper invitations, the convenience and eco-friendliness of online technology and the wow-factor of doing something different. Collecting mailing addresses, stuffing envelopes and coordinating RSVP information is a daunting task for any engaged-couple. Equally painful is the reality that many guests will ultimately toss expensive paper invitations in the bin. For couples dreading this less fairy-tale side of planning a wedding, Glö makes the process easier for both the couple and their guests. With Glö, couples can effortlessly create and send beautiful email wedding invitations and save-the-dates, paired with a matching wedding website, or Glösite, with unlimited pages of information, events and RSVP questions. With Glö’s smart RSVP system, couples select which guests are invited to each event (since not everyone gets to come to the rehearsal dinner), and their Glösite will only display the relevant events & RSVP questions to each guest. Like paper reply cards, guests can view and edit RSVP responses for everyone in their household or party, which makes Glö an ideal option for those inviting couples, singles with guests and/or families to their wedding. 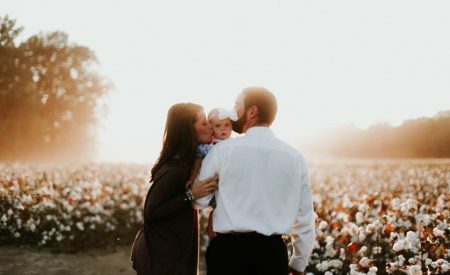 “We had lots of out-of-town guests and numerous activities taking place, so we needed to collect a slew of RSVP information like arrival/departure date, attendance at various activities, dietary needs, babysitter needs, accommodation choice, etc. to help us plan,” said Westberg. Glö offers a broad range of designs to choose from, but also allows users the freedom to upload their own designs, giving couples the option to get creative, work with a favorite designer or coordinate their online communications with other paper stationery products. Priced at the equivalent cost of postage stamps for invitations and RSVP cards, Glö is a savvy option for the modern-day engaged couple. Paperless wedding invitations and save-the-dates are growing in popularity as today’s couples seek solutions that help them plan their wedding in smart, savvy ways. As the first site to offer beautiful online stationery with coordinated wedding websites and smart RSVP functionality, Glö is poised to appeal to this fast growing market of modern-minded brides and grooms. For more information and to sign up for a free trial, visit Glosite.com. 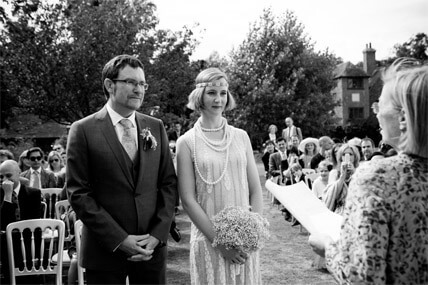 Glö, the provider of online wedding communications for modern-minded couples, is the only wedding planning resource to offer paperless wedding stationery combined with wedding websites and smart RSVP technology. Glö enables engaged-couples to create highly personalized and sophisticated online wedding communications that help save time, stress and trees for the couple and their guests. For additional information, please visit Glosite.com.